Looking For Help With Cross Border US Taxes as a Canadian in the US or American in Canada? Personal tax, Rental Income from US properties, Sale of US properties and Estate taxes all require expert handling to ensure the legal minimum taxes are paid and penalties avoided. Storoszko & Associates, US Tax Services provides professional cross-border accounting services to ensure your taxes are filed properly and on-time. In the United States, the income tax system is based on either citizenship or residence. This is not the case in Canada. 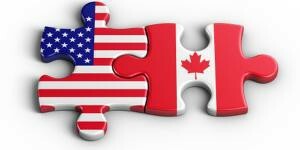 Canadians living or working in the United States may find themselves taxed on their “world income” in both Canada and the U.S, just as Americans are required. The U.S. tax system, administered by the IRS, is complex with many compliance and reporting requirements that are quite different from the Canadian system, administered by the CRA. Engaging tax specialists with expertise in both the U.S. and Canadian tax systems may not longer be an option for most Canadians and Americans in Canada that have to deal with these complexities – not an option, just good sense. Contact Storoszko & Associates at 647 367-3477 to discuss this or any other tax questions or issues you may have.